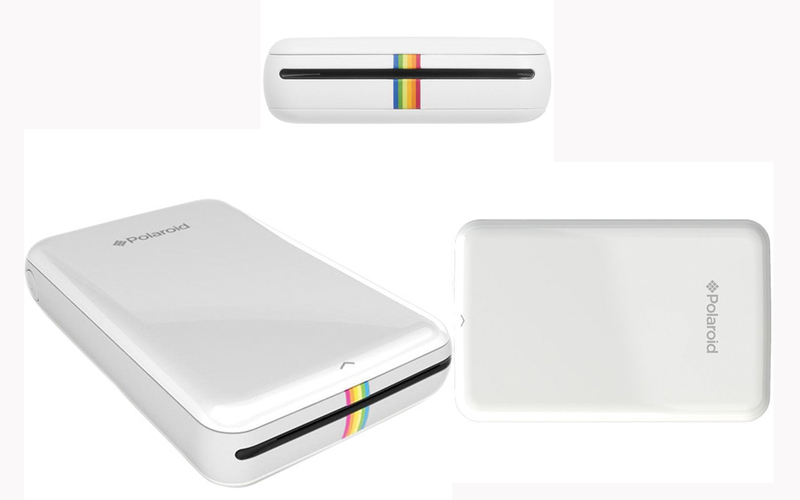 It’s #ThrowbackThursday, and we’re feeling a little nostalgic in the office which is why we were stoked to come across the new Polaroid Zip Instant Photoprinter. Back in the day, we all had our super cool Polaroid cameras, some of us still have a stack of old pictures to remember the good times. This being the 21st century though, the company gave its printing capabilities a tech-savvy upgrade. The printer uses Bluetooth or NFC technology to connect to an app on your smartphone (or tablet) so you print your selfies wherever you please. With the app, you can also edit your photos before you print, adding emojis, drawings and creating collages. Using ZINK (zero ink) paper, the printer delivers photo-quality, smudge-proof, full-color pictures without any bulky (and sometimes messy) ink cartridges. The ZINK paper also has a sticky back… which means your printed images are actually stickers, which obviously ups the cool factor. And since there isn’t an ink cartridge, the printer slim enough to fit in your pocket and basically carry anywhere since it only weighs 0.41 pounds. You can get in on your own bit of nostalgia for $130, which isn’t too steep. But it might pay to be a little choosy when deciding what pics to print – each shot (or sheet of ZINK paper) costs about $0.25.